1. Definitions: In these Conditions the "Company" means Ranjan Khosla & Sons Pvt. Ltd., Ranjan Khosla & Sons Pvt. Ltd. with the trading name of Marsun. The "Customer" means the customer of the Company. The "Contract" means any contract for sale of goods by the Company to the Customer. The "Goods" means any goods forming the subject of this contract including materials incorporated in them. 2. We deliver to India mainland addresses only. 3. Goods are not sold on a trial basis. 4. An order is not deemed to be accepted as a contract until we have sent an invoice stating acceptance via post. 5. Advertised prices on this website Exclude Sales Tax (CST/VAT). 6. Adequate labor etc. Must be provided by the Customer for unloading. Delivery is made to the curbside. 7. All goods must be inspected for damage or shortfall on delivery in the presence of the delivery driver. Any loss or damage must be clearly written on the delivery note and we must be informed within 24 hours by telephone. No claims for damage or shortfall will be entered into if this simple instruction is not met. See "receiving goods on arrival" under "information" on this web site. 8. Goods will not be left without a valid signature from the Customer or a responsible person elected by the Customer who must be 16 or over. The Customer will become responsible for the goods and any subsequent loss, damage or destruction of the goods upon signing. All goods remain the property of Ranjan Khosla & Sons Pvt. Ltd. Until paid for in full. 9. Ranjan Khosla & Sons Pvt. Ltd. Reserves the right to revise prices and details at any time without notice. If we list a product at the wrong price due to a typographical error or receive incorrect pricing information from our suppliers, we have the right to refuse or cancel any orders placed prior to the order being delivered. We will not adjust any prices without you first being informed, and will allow you to withdraw your order at no cost to yourself and if applicable a full refund will be given. 10. Goods are subject to availability. If any items on your order are out of stock or unavailable, we will advise you immediately of the expected delay in delivery, if this proves to be unacceptable the Customer may cancel the item from the order and we will issue a full refund. 11. We will make every effort to deliver goods within the delivery option requested at the time the order was placed. However we cannot guarantee this and we will not accept responsibility if your order is delivered outside this time. We recommend that you only arrange for tradesmen to carry out work on your behalf after your goods have actually been delivered. 12. Goods supplied incorrectly entirely through our fault will be re-supplied at no cost to the customer. (i) Alter these Terms and Conditions. For your own safety we recommend that you read carefully the safety instructions printed on all packaging plus any safety leaflets and literature that are provided with your products before you carry out any DIY projects or make use of the products supplied by us. Many products we supply require connection to utility services like gas, water or electricity. If you are at all unsure about installing these or any products seek professional advice. The Company will accept no responsibility for loss or damage arising from the misuse or incorrect fitting of any goods supplied. 15. 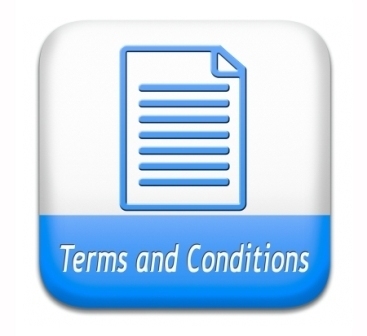 The above Terms and Conditions shall not affect your statutory rights as a consumer.